I started with personal training after shoulder surgery in March 2016. I joined as a member of the CrossFit family in November 2016. There isn’t one “big” thing. Honestly that I show up consistently! However, I was pretty stoked to do a few of the recent open events Rx! I love the atmosphere, I love the friendliness and camaraderie of the members and I love programming and philosophy of Byron and Janelle. Also, as a recovering collegiate athlete, I love that the workout is there and ready for you. At a “regular” gym I never know what to do with myself. I’ve been coached most of my life and I end up just kind of wandering around. With CrossFit, you get the workout, the coaching and the team atmosphere. It’s perfect. Don’t let the whole “CrossFit” thing intimidate you. Take the leap and know that there will always be a way to scale a workout to fit your needs. Check your ego at the door, there is always going to be someone that is better at something than you. Sail competitively and travel. Sometimes the two together! No favorite. I like food! Anne has been so consistent over the past couple months preparing for the CF Open! After completing the CF Open Prep Class she was more than ready to crush the first Open of the year. 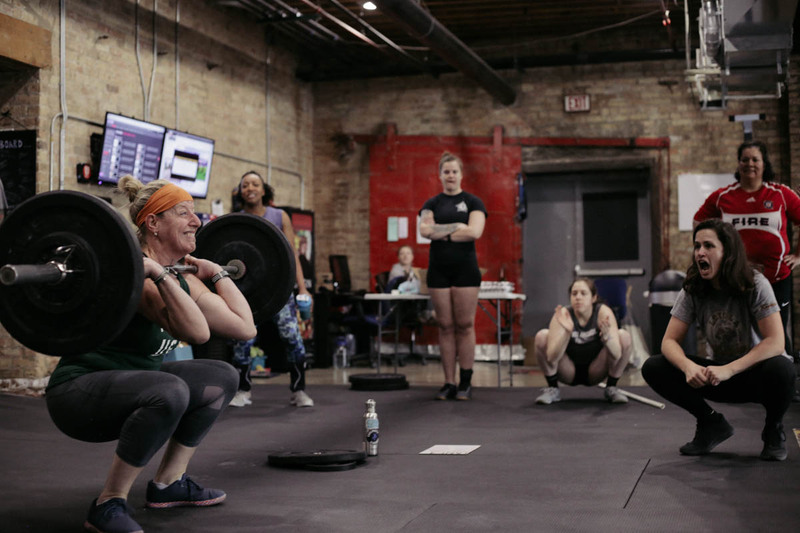 The coaches have been so impressed with her improved mechanics and efficiency moving the barbell – something that only comes with care & focused practice. Not to mention her excellent team spirit for Team Lucky Charms. When you see Anne in the gym, make sure to congratulate her on all the hard work!